A Sumida-based clothing manufacturer, Ikiji brings together a collective of skilled artisans working with shirts, knitwear, leather and more, and combine traditional techniques with modern silhouettes and textiles. They deal in everything from polo shirts and sweaters to bags, business card cases and other small accessories – all of which draw on the Edo-era concept of iki (sophistication). Their line is simple but unique, and incorporates patterns that have been used in Edo-Tokyo for centuries. 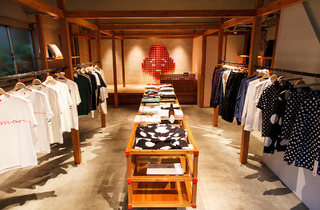 Their store design pays homage to the Edo era’s customs, for example a raised tatami mat space next to the till calls to mind a time when homes featured a similar area at the entrance for changing shoes or just hanging out for a quick chat. And for their brand logo, they redesigned an emblem first created by ukiyo-e artist Santo Kyoden. It’s these clever touches that give Ikiji a special significance. 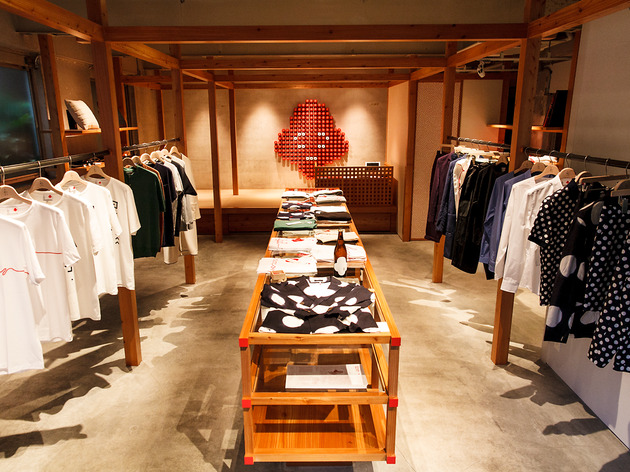 The store may be a little off the beaten shopping path – it’s about a 10-minute walk from Ryogoku Station – but if you want to jump on the Edo chic bandwagon before it becomes mainstream, this is where to go.